Police and the state fire marshal's office were investigating the cause. 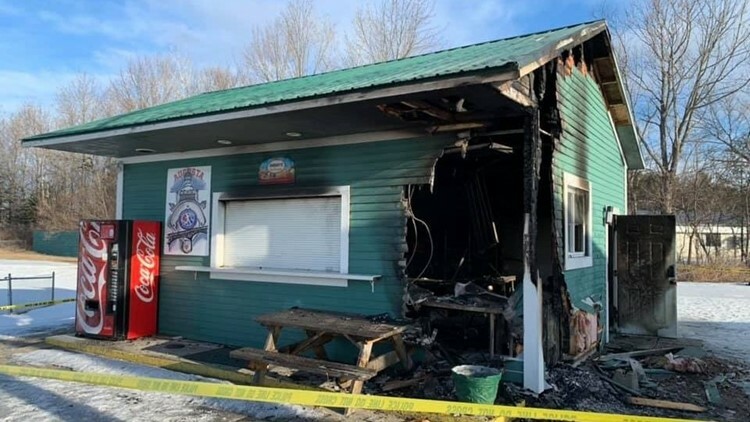 AUGUSTA, Maine — Fire caused heavy damage to a concession stand located within Augusta's Little League fields late Monday night. The snack shack, which stands at or near Capital Area Sports Complex along Piggery Road in the city's Mayfair neighborhood, reportedly caught fire at about 11:30 p.m., according to Augusta Fire-Rescue. The department said crews traveled over icy roads in and around the fields to get to fire, and water had to be hauled in by Chelsea Fire Department tankers. Augusta police and the state fire marshal's office were investigating the cause, which was not immediately known. There were no injuries, the fire department said.